Congratulations to the group for their summer sample. New to Grafham Water, heading your way soon??? An unwelcome addition to British waters. 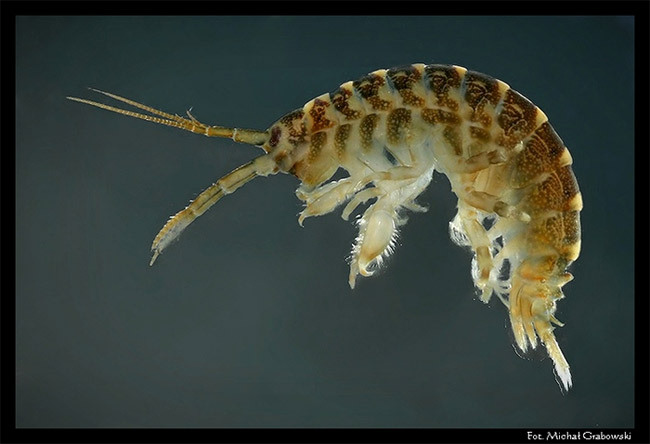 Please look out for the amphipod Dikerogammarus villosus - aka the killer shrimp - in your samples. Unfortunately this fecund and voracious predator has recently arrived in England, posing a threat to native fish and invertebrates. Bio security at Grafham water is frankly a joke and the shrimp could easily be spread by anglers or water sports enthusiasts . It poses a very real threat to our aquatic ecology so take the time to check these links to get an idea of what may happen should this latest invasive species get a good hold in Wales. ANGLIAN WATER - too little too late. If there was ever an example of the need to monitor aquatic invertebrates this is the one. A well attended meeting at Alma House supported by the Environment Agency showed members of TRIM how to identify the BWO nymphs in their samples. Samples brought by EA biologists Nicola and Ian were studied under microscopes and a series of pictures were studied which are now available for reference on this site. Many thanks to Nicola Broadbridge and Ian Nesbitt for their help. The autumn 2009 report for invertebrate collections from the rivers of West Wales is now available. 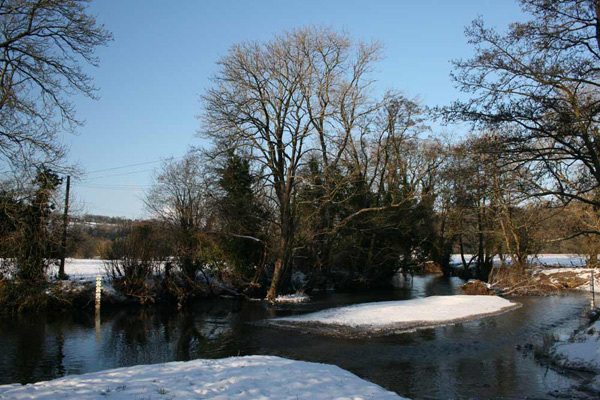 From the view of the lower Teifi the improvement in Afon Cych is very welcome news, let's hope this continues. 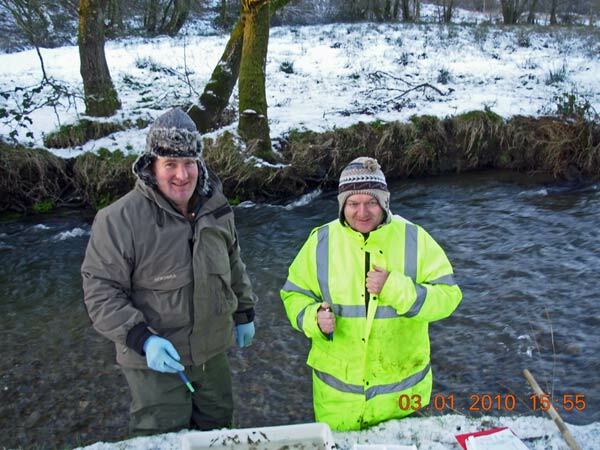 Meurig Davies and Emyr Jones from Llanybydder Angling Association sampling the Nant Cledlyn early in the year. A refresher day to bring us all up to speed on distinguishing Blue Winged Olives from the other olives is being held at Alma House, Abercych on February 13th . The day will start at 11am with an introduction to the subject of the Blue Winged olive then a kick sample and back to the house for lunch and hot drinks ( provided free of charge). Following lunch we'll take a detailed look at some specimens through microscopes and after that there'll be an opportunity to chat about your experiences of the project, suggestions for improvements, criticism etc. .
With luck our funding will have come through by then and members will be able to collect their waders on the day.